The Latvian capital, Riga os one of the cities which have a special place in the online games industry. Along with its very favourable legislation, the city is also home to the offices of some of the largest virtual casino games publishers. Recently, the Latvian capital also decided to become a special destination for cash games fans. This has mainly come to fruition with the recent opening of the Royal Casino Riga, a casino inside the prestigious Royal Casino Spa & Hotel Resort. This is a full review of the establishment and what it offers casino games fans. Situated in the heart of Riga, under 10 minutes from the Old Town and its many places of interest, the Royal Casino Spa & Hotel Resort is in an excellent situation for tourists and those visiting the Latvian capital. Along with its luxury suites, this high class complex offers many amenities that guarantee a comfortable stay. Clients can enjoy its superb Spa, fitness room and many other entertainment areas and restaurants. These include 5 different nightclubs, karaoke bars and restaurants and its superb casino, the Royal Casino. With its structure and infrastructure, it’s one of the largest hotel complexes in the region. The Royal Casino is the most luxurious casino in the country. There is an imposing bronze lion, the emblem of the place, in the entrance. Inside it’s very modern and chic. The service is of a very high standard with professional dealers who abide by international rules. In all, twelve gaming tables are open every night including Roulette, Poker and Blackjack. At the classic tables, bets start at 5 or 10€. The Royal Casino has a separate VIP room in which there is almost no betting limit. For slot machine fans there are ten slots. Wanting to open up to the world, the Royal Casino recently signed a partnership with the developer, Ezugi. Thanks to its modern technology, Ezugi ensures streaming of the games every day from one of the casino’s roulette tables. The table in question is accessible to online players registered on Ezugi’s partner casinos like Casino Extra, Lucky31 and Dublinbet. It doesn’t matter where you are geographically, you can play at this table just as if you were present in the Royal Casino Riga like the other visitors to the casino. 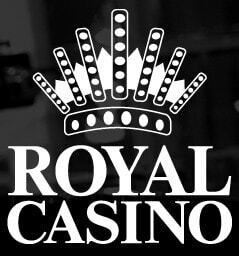 Several live casinos offer the online roulette table filmed direct in the Royal Casino Riga in Latvia. This roulette table is available on Dublinbet along with more than 100 live dealer roulette, baccarat and blackjack tables. This roulette table runs on Ezugi’s technology that lets you play with clients sitting at the table. Lucky31 Casino and Casino Extra also have this table. These two online casinos have an excellent reputation with players and in them you can play at ten roulette tables in ten casinos. You can find this live roulette table from the Royal Casino Riga as well as roulette tables from several Italian casinos (Saint-Vincent Casino), Maltese (Dragonara Casino, Portomaso and Oracle Casino), English (Hippodrome Casino London), Irish (Fitzwilliam Casino and Expo Casino), Romanian (Grand Casino Bucharest and the Platinum Casino) and Georgian (Hilton International Casino Batumi).